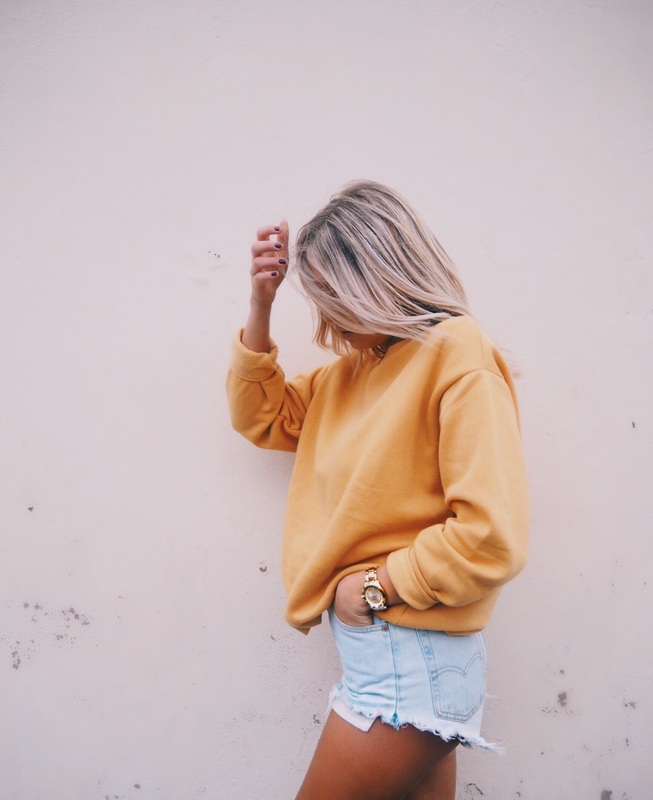 This is the most casual I have been in a long time...but hey, the weather has been great this week so I thought I would whip out the old Levi's and buy a jumper to match the sunshine! Unfortunately the heat didn't last as long as i had hoped. This jumper has to be one of the most comfiest jumpers that I own, and it only cost me £5. That's right. a fiver. Not only does it come in yellow, but pink too...both colours which I don't particularly wear on a day to day basis (because, well, they're not black). The little glimpse of sunshine that we have had has given me the urge to book a little trip for the end of September. Its proving a little bit of a struggle to decide on a destination, so any ideas/suggestions of hot climates that are good to visit in September would be greatly appreciated! Yellow is such a hard color to wear, it looks so good on you though! !